If you have questions about the side stones in any of the items in our bridal collection, please contact us. Fine jewelry is our expertise, and we love to share it. As with our entire engagement ring section, the items come in various shapes, set with round cut diamonds, princess cut diamonds and many more. You can still select your ideal center stone based on carat weight, color or clarity. If you can’t find what you’re looking for, or if you want to modify an existing item to fit your exact needs, visit the iBraggiotti Jewelry Custom Shop. You will certainly find more than what you are looking for which is a complete set of marvelous engagement diamond rings and a spectacular collection of promise rings, diamond bands, engagement bands, gold jewelry, wedding rings and any bridal rings that will fulfill your long awaited wish. When it comes to creating new fashions and trends in the jewelry industry, iBraggiotti Fine Jewelry never goes out of style. It has conquered the multitude with its stunning emerald cut diamond rings with sidestones, another distinctive design apart from three stone diamond rings. Our diamond rings with side stones are designed to lay emphasis on the single center stone. Your center diamond will dazzle while emerging from a backdrop of surrounding diamonds glittering like stars in the middle of a peaceful night. The pave settings will glow in dim environments while channel set rings draw visual lines from the hand that move toward the center stone, leading the eye to your icon of perpetual love. Such a remarkable beauty of diamond and rings is meant to last forever. iBraggiotti Fine Jewelry has once again proven its remarkable presence in the jewelry industry. The princess cut diamond rings with sidestones show evidence of another extraordinary milestone of engagement diamond rings at the heart of New York City. Another distinct style from the stunning three stone diamond rings, our princess cut diamond rings with sidestones are designed to highlight a single center stone. Your diamond will visually pop from a milieu of flickering diamonds set in array at the sides of the ring. Pave settings will glow in low light environments. Channel set rings draw visual lines from the hand that approach the center stone, leading the eye to your symbol of commitment and love. You will find these engagement rings perfect for your wedding proposal. She will enormously feel her royal majesty with these fantastic engagement rings. Ideal clarity, color and cut of the center diamond are three essential properties that comprise the overall beauty of our diamond rings. They are also the major cost determining factor of all our diamond rings for engagement. The sidestones come with standard color and clarity. Since they are small, the stones can be of lesser quality than the center diamond yet still accentuate it with discrete boldness and elegance. Engagement rings with side stones in a diamond ring will absolutely flatter the luminous center diamond. Our online jewelry store offers princess cut diamond engagement rings in platinum, white gold and yellow gold. We commit to granting the highest quality princess cut diamonds in all of these magnificent promise rings. To celebrate your special day, you can likewise choose one of our salient wedding rings from our antique rings array. Feel free to ask us if you ever have questions about the side stones in any of the items in our bridal sets. Fine jewelry is our heart and we love to share it because you deserve to have the best. As with our entire engagement ring section, the items come in various shapes, set with round cut diamonds, princess cut diamonds and eight more. You can still select your ideal center stone based on carat weight, color or clarity. You always have a say to customize your own unique style of diamond engagement bands. If you still can’t find what you’re looking for, or if you want to modify an existing item to fit your desires unerringly, then visit the iBraggiotti Jewelry Custom Shop. We’re just one click away. A heart diamond solitaire ring looks fabulous on her finger. Not much of an intricate pattern, the heart shape is another modified version of the pear shape diamond. Their difference lies on the cleft at the top of the heart shape diamond. The diamond itself speaks of love and eternity. Putting her heart on fire with the flame of love has already paid the price. When we talk about ultimate balance between quality and price, no one comes to mind but iBraggiotti Fine Jewelry. We sincerely express that when you plan of buying a heart diamond ring, you should make sure you understand the quality of your stone. Ask about the diamond color and clarity. Purchasing a non-traditional gemstone shape is no reason to compromise on quality. That is our mission, to encompass the world with our finest brand of engagement diamond rings. Learn what you need to know about choosing the perfect diamond at our education section. Jewelry :- Jewelry is the most in portent ornament for the women . it give the beauty and bright fome time wearing of jewellery spends on the cutler, most of the women. wearied jewelry according to their welter it can be made by different stones, bones of animal teeth of animal and the slain of animals. Jewelry is small decorative iteme .such on brooches, rings ,nickles earing and baceles ete. Asia is the most famous place for jewelry, design and style. Jewelry also wearing by children and older people some people parches the jewellery as investment purpose. History :- the history of jewellery is long, goes Beale many year. The gifts signs of jewelry come from the people in Africa.in 17th century it was the perionl of permainane the great development of jewelry in Europe. Some people wear the jewellery according to their culture. Jewellery in USA :- in usa jewellery was origin in soo teas ago it is the very transition style .now days different type of stylish item available in the market .and women wear very attractive jewellery has been made heavy and gold pieces but of this time women’s aroide to wearing these type of jewelry they prefer stone and metal. Jewellery as wedding gift :- gift of jewellery in wedding is such marvelous thing, because most of the people Ase like to wearing jewellery. We can give the to many items like, diamond earnings, pearl gifts , necklaces, ring, chain ete. Its depending on your course but gift will not only remind them of the wedding but also of the special relation that you share. Jewellery as mothers day gift:-mothers day is great movement for every child and everyone wants to feel special to their mom.and grand mom also , and we always try to celebrate in the best way possible and there day she deserve a special gift- and we can give the jewellery as gift them purpose which she will be able to wear. I think this is the treasure of the most of her life. We can give the best gift for mom like diamond ring, necklaces, bracelets,earring ,and more,we also can give intand made jewellery gift. Marriage is the sacred thread that entwines souls in a journey that traverses forever. Millions of couples wait for this big day of their life to commence and they take meticulous efforts to adorn the occasion. The bride navigates through a wide collection of ravishing and gorgeous attires and groom looks for best suits and apparels. Apart from the apparels wedding rings and bands are also a curious pick of the couple. They wish their rings to stand different and make a memorable piece of wear. 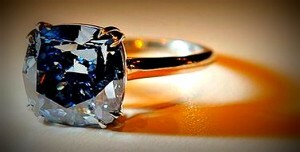 Diamond rings are the latest trends of wedding wears that makes a spectacular display on fingers. Girls are wooed at the very thought of diamond and hence men make it a note to search for elite and sleek designs of diamond rings with a wonderful finish. Millions of people prior starting their lives often get baffled with the type of wedding bands and rings to choose for their partners.A wide collection and range of wedding bands are available in the market but if you are looking for a gorgeous and lavish wedding ceremony then your choice must epitomize class and elegance. Diamond rings at attractive prices are displayed in showrooms and jewelry shops that captivateswould be marrying couples. Everyone craves for classic and hand crafted wedding diamond rings with unique design and carvings. People even prefer to emboss their partner’s name in the rings to give it a touch of passionate love. 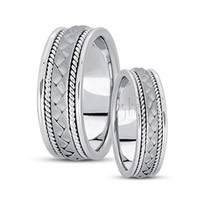 Men’s wedding bands have elegant carvings and marvelous etching throughout the complete ring. Art gets it form in these rings and they make an irresistible choice. A wide variety of rings and wedding bands have stones embedded in them. Men’s wedding bands have gems or other precious stones embedded. Black diamonds, color gemstones, lavender sapphires are some of the jaw-dropping picks of wedding rings and bands.Eternity rings come with such wonderful amalgamations of precious stones. Gold embroidery and emerald stones are also a classy taste. Rubies, color diamonds or pink sapphires synchronize with the attire and wedding theme.Adding a white gold or rose gold gives a modish touch to the rings and wedding bands and it offers both uniqueness and taste in its appearance. People also prefer to give their personal designs and make the ring more special for their beloved. Lacy finishes also look gracefulon brides’ fingers. They have complicated touches and makethe design more intricate and fascinating. Golden lines with lacy finishes are the buzz in market now. Wedding rings and bands understand the forever love between passionate souls and hence they are designed with taste and class. The colossal range of wedding bands gives you a choice from multitude options that make a perfect piece of selection for your big day in life. A piece of contemporary design or art is also a unique wish on wedding rings. It marks grandeur in its appearance and adorns the occasion with a symbolic meaning. Properly finished lines amalgamated with more intricate designs are now made possible with technology. Hand crafted rings with stones studded are the popular choice nowadays. If you are planning to give a unique look you should try your own designs and visit illustrious and reputed jewelry shops that shall help you get the best lucrative work at the right price. Diamond and stone studded rings embellishes your big day and makes beautiful memories. It also signifies faith and trust that you wrap in the gesture of ring ceremony and invigorate your relation. 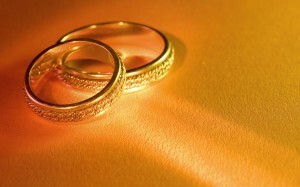 So give your partner the best ring and mark the inception of marriage of your marriage with grace and class.